For Which Courses Can I Apply for Education Loan? With rising cost of education in India, financing your kid’s higher studies can be quite heavy on your pocket. This is the reason why most of the parents are opting for education loan nowadays. And this has really become a boon for parents seeking financial assistance. Not only does it fund normal graduation and post-graduation courses, but most of the major banks are also ready to give out loans for training and vocational programs. So, here we will discuss the courses for which you can take education loan. You can take education loans for almost all conventional graduation and post-graduation courses provided that you have secured admission in an institution. Engineering, management, architecture, medical, hotel management, etc. are covered under this. 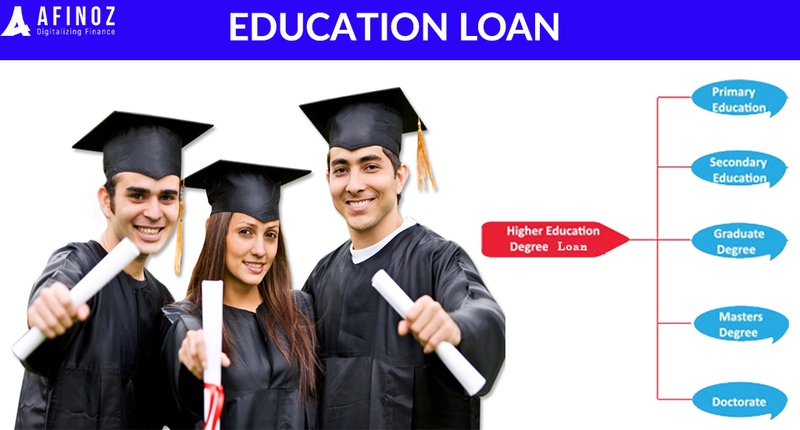 Education loan covers the tuition fee of the course along with other charges like examination fee, accommodation and other miscellaneous expenses that you might have to bear. Check the list of colleges for which the bank is offering loans and if the college you are applying to falls in the list, only then you should apply, else go for a different lender. Moreover, you can get significant rebates in interest rate and other charges if you seek loan for studying in a premiere institution like IITs or IIMs. Sending your children to a foreign university or college can cost you a fortune. For middle-class parents, it is next to impossible. This is where an education loan comes into play. You can meet the cost of graduation/post-graduation in a foreign country by taking education loan. The terms and conditions related to education loan may be more stringent when the student seeks admission in a foreign college. You have to submit proof of college admission, visa approval, study permit, etc. These are the courses that focus on training an individual in a particular task such as trade or craft. Sometimes it may also be referred to as technical course. Being a traditionally non-academic course, a lot of people think that they would not be able to secure an education loan for it. But this is not the case. In fact, all major banks are ready to fund vocational and training courses. SBI, Bank of Baroda, PNB and Auxillo are among the most popular lenders that offer loans for such courses. Usually, there is no minimum course duration for skill based loans. The chances of loan approval will be better if your course is run by a well-known institution like ITI or Polytechnics, or aligned with a government scheme like National Skill Qualification Framework. Banks are also ready to provide education loans for diploma courses if your college falls in their list of approved institutions and you have secured admission in the college. Post Graduate Diploma in Management, Information Technology, Human Resource Management and various medical segments are gaining popularity in India. This is why banks have also stepped into the market sensing the need of students and parents. If your child is seeking education in a comparatively unconventional course such as acting or photography, you may be worried about how to meet the high cost of such course. Though a number of banks may be averse about providing best education loans for such courses, there are non-banking financial institutions for meeting your financial requirements. They might charge comparatively higher rate of interest and processing fee but the cost of your education will be met with a loan. Avanse and Auxillo are the two most popular NBFCs in the Indian education loan market. If you wish to take education loan to fund a conventional course like graduation or post-graduation, it is always a good idea to shop around for the best rates. First, go for the bank with which you have a relationship and good banking history as they would be ready to negotiate a lower rate of interest. Going for a reputed institution or a premiere college significantly increases your chances of approval. No matter which course you apply for, there are a few things you need to keep in mind before applying for an education loan. Make sure you have complete documents ready at the time of application; even a single missed document can lead to rejection. Look for a lender that offers the maximum moratorium period so that you have enough time to be financially independent before repayment starts. Come to Afinoz, apply for education loan and we will pass on your details to several lenders to offer you the loan at most competitive interest rate.
. Make sure you have complete documents ready at the time of application; even a single missed document can lead to rejection. Look for a lender that offers the maximum moratorium period so that you have enough time to be financially independent before repayment starts.